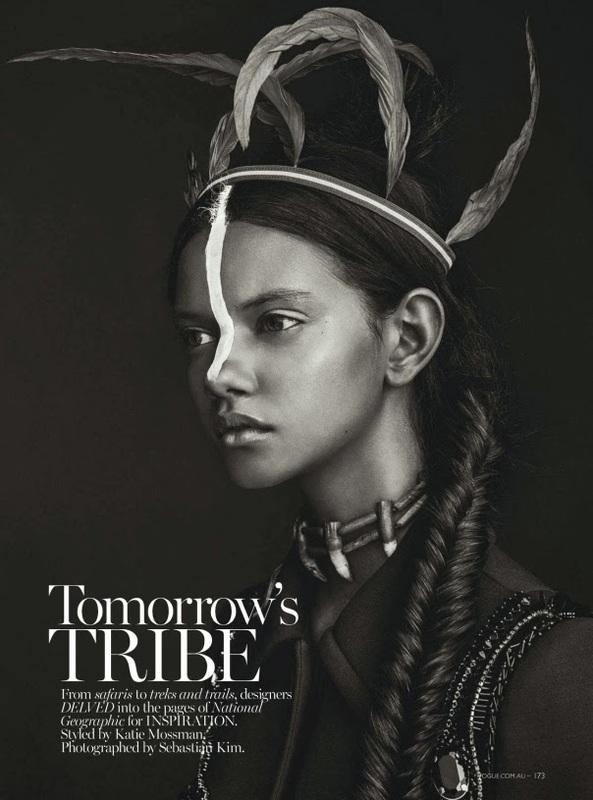 Australian Vogue taps into the exotic mysterious beauty of Brazilian newcomer Marina Nery for "Tomorrow's Tribe" editorial in the glossy's April 2014 issue. 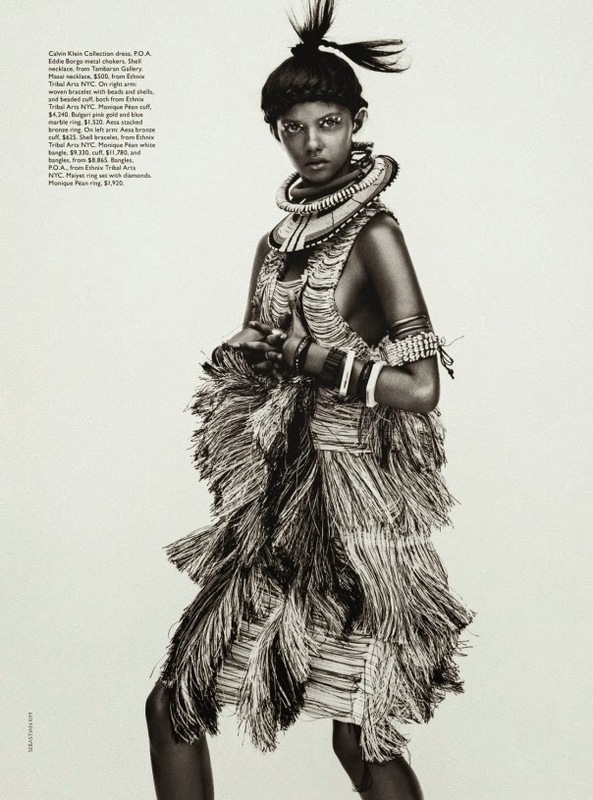 The eighteen year old Bahia native provides the perfect blank canvas for the tribal-themed story with her face and body adorned with elaborate markings and all manner of beaded and metallic bracelets, necklaces, rings, and headdress. Photographer Sebastian Kim harnesses Nery's stunning ethnically ambiguous beauty as she poses in outfits inspired by Masai tribal warriors, Peruvian folk women, and Afghani herders styled by Katie Mossman. Nery's modelling trajectory has been strategically guided with pinpoint precision by her agents at the Society Management NY and Elite Model Management Paris. Following a stellar run at the Spring/Summer 2014 collections which included blue chip appearances at Marc Jacobs, Giles, Fendi, Dolce & Gabbana, Ports 1961, and Rochas, Nery was noticeably absent throughout the recent Fall/Winter 2014 show season. Nery's modelling priorities appear instead to be very much focused on building up a diverse portfolio of print clients judging by the recent flurry of editorial tear sheets for Australian Vogue, W Magazine, Elle Japan, Love, Crash Magazine, and Garage. With her startling emerald green eyes, doll-like features, and elegant 180 cm frame, Nery is certain to unleash her full runway potential at the Spring/Summer 2014 collections in September.